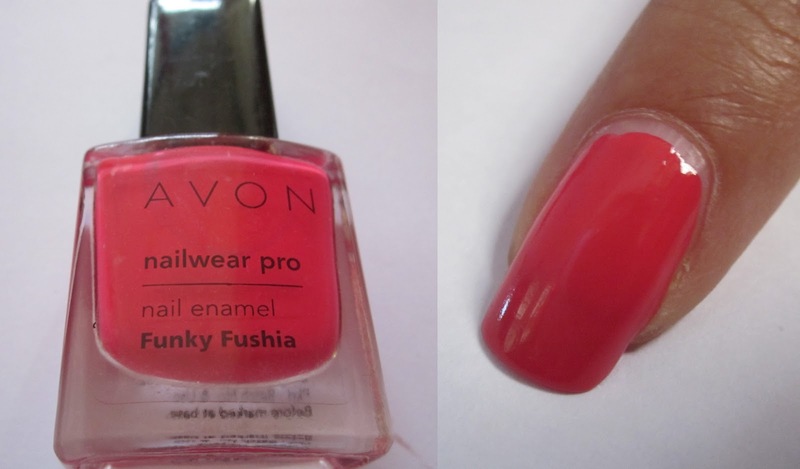 Avon Nailwear Pro Nail Enamel Intense Brights: Review and Swatches - Divassence! Avon nailpolishes are a huge hit in every part of the world. Each time there is an offer on nailpolishes I go berserk. 😀 So last December when there was a sale on the Intense Brights collection I knew I had to have all the colors. I bought all the colors but unfortunately the coral one was taken by my cousin. So here are swatches of the other 5. Electric Green: This one is my favourite. It didn’t chip for a week and a half and the color did not fade. What more do I need? Funky Fuschia: This one comes a close second. A bright pink which will brighten up any day or outfit. One coat of it is sufficient. Blue Shock: This one was a total bummer. 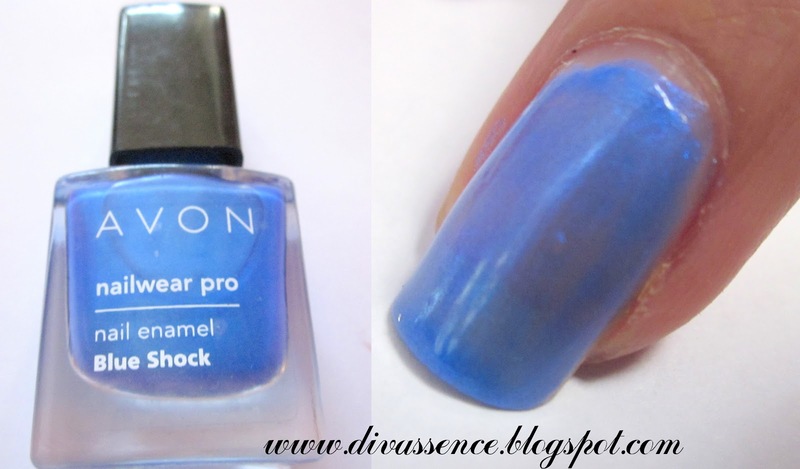 One coat of this color was so transparent that I expected to use atleast 5 coats to get the exact color in the bottle. This is what I got with three coats. 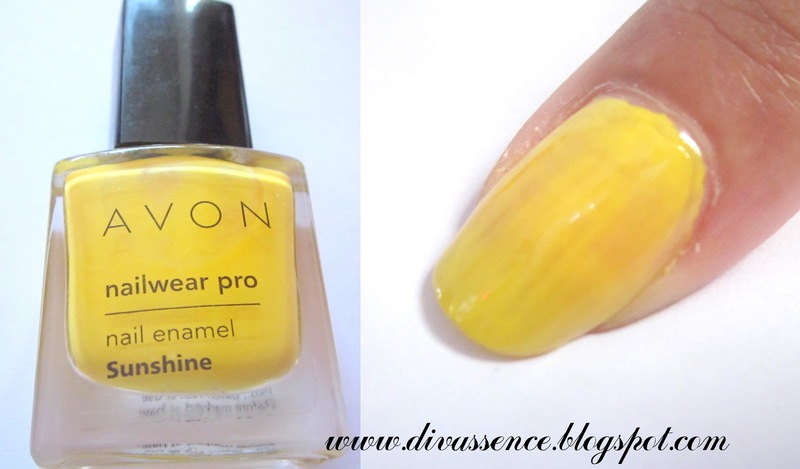 Sunshine: This one is another bright shade which would jazz up any outfit. Perfect for the summer! It is a little streaky in application though. 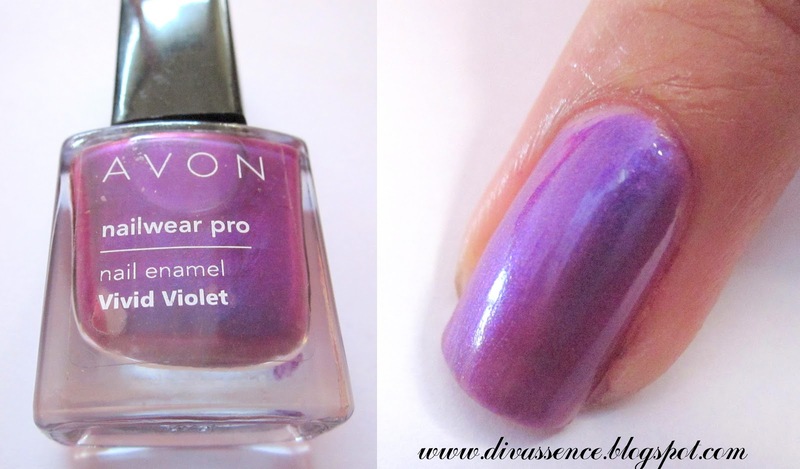 Vivid Violet: This one again is a disappointment. The color seems so pretty in the bottle but is semi-transparent when worn. This was 2 coats of the color. me tooo Lancy! 🙂 have you tried Avon nailpolishes? Funky Fuschia is sooooooooooooooooo cool! me want! will def let you know when there’s an offer Z 😛 you should also try the green one. its awesome! Loved Green….. i am eyeing for it from the time its launched but not sure whether will be able to carry it off…. of course you will! You’ve got lovely nails Deepa! It’ll look lovely on you! Do try it! Thanks Deeps… will get it next time wen its on offer….